Labor disputes resulting in workplace strikes can have devastating effects not only on businesses, but also on local economies. However, if proper Business Continuity Planning has taken place, the fallout can be mitigated. The solution? Hiring replacement workers during a strike. It’s important for your business to maintain production promises to meet partner demands and to achieve proper customer satisfaction levels. 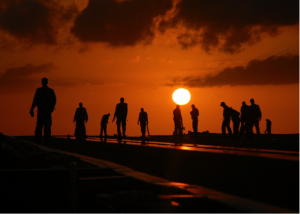 The pre-deployment stage allows companies to strategically position the incoming temporary workforce to the local area so that they can be activated on short notice. Anticipating disruptions before an actual stoppage occurs ensures all prior business commitments are met. The 4th part of the process involves executing, sending the temporary workforce to your actual jobsites, with all logistics taken into account. During the deployment stage, we’ll cover scheduling, housing, transportation of workers to and from jobsites, orientation and training, management protocols, and the establishment of performance standards, the latter of which ensures that high expectations are met. Temporary workforces allow you to be flexible. You can scale up to fill voids left by strikes and scale down and disband once labor negotiation resolutions occur. The disbandment process is swift and involves an assessment of each onsite project to help transition from a temporary workforce back to a permanent one. Additionally, the disbandment process includes an evaluation to see how effective the operation was and make recommendations to update your business continuity plan accordingly. Each of the 5 phases is designed to benefit your company during what would otherwise be work stoppages. You’ll be able to meet demands, stay profitable, keep prior agreements, satisfy customers, and keep the overall reputation of your business intact. Learn more about how temp workforces can help by reading our other post, The Importance of Contingent Workforces in Today’s Business Climate. One of the first things you’ll want to do is outline the entire production process itself — all the way from the workers needed to attend to the production line, to the machines themselves. What technology needs to be updated? Exactly what parts of the manufacturing process are slowing you down? Exactly whom do you have scheduled, and are there enough workers with the right skillsets assigned to handle each unique part of the process? Perhaps you need to provide more training or change things up. The evidence that you’re becoming more efficient in the manufacturing process can be seen in your financials. Gather the data, closely track it, and share it among your workforce — most especially with your project managers. Familiarizing them with the costs will empower them to cut down on all things wasteful they experience day-to-day. Machines break, so be prepared for this and any other kind of issues that could cause the entire manufacturing process to go awry. Devise backup plans and review how to fix issues before actual problems occur. The little things add up, whether it’s using an outdated program that makes entering data an arduous task or a machine that requires manual control. The goal here is to automate more things about the workflow process so that your employees have more time to be productive in other areas that deserve attention. In effect, labor costs can be reduced and you can increase on-the-job safety. Having the ability to scale your workforce up during peak production periods, then scale down when you’re not as busy allows you to cut out unnecessary downtime and push harder when it matters most. For increased scalability, consider utilizing a managed workforce. Tracking business processes can also help in another area: Making your current employees more efficient and thus, happier. Read our other post, How to Improve Employee Morale in the Workplace. Labor disruptions can occur for any number of reasons ranging from strikes to natural disasters. No matter what the cause, these disruptions have the potential to negatively impact your business. Because of the unpredictability of these events, it’s important that you have a plan in place that sufficiently addresses anything that could threaten your business’s operational efficiency. Strom Engineering has the ability to deploy a temporary workforce on a rapid basis. Unlike traditional staffing companies, they can handle many of the logistics as well, whether it’s housing, transportation, or anything in-between. Since they are not restricted by ‘Union work rules’ a temporary workforce offers the flexibility a permanent workforce can lack. Also once your labor dispute is resolved, the temporary workforce can be disbanded. This allows you to return to normal operations without repercussions. At Strom, we maintain a large database of employees, all with relevant project experience. Upon working with Strom, we can identify the right employees that can meet your business’s unique manufacturing and operational demands. The deployment of temporary workforces emphasizes continuity of business operations. When it comes to how to prepare for a strike, you can demonstrate to a union that your business is still meeting its obligations by adding a temporary work force and deploying it. This can allow you to achieve leverage during the negotiation process. When managed correctly, temporary workforces can save you both time and money by working outside of the restrictions of ‘union work rules.’ This additional flexibility in the workforce often times allows clients to reduce their overall workforce size required to operate. With fewer slowdowns, increased production, and reduced labor hours per unit, Strom allows you to remain profitable. For more information regarding how a temporary workforce can assist you ahead of a labor disruption, contact the experts at Strom Engineering today. To learn about how temporary workforces can help your business, as compared to permanent employees, read our post, Permanent VS Temporary Replacements. How Does Collective Bargaining Protect Employers & Employees? For many larger companies, collective bargaining represents an integral part of the employer-employee relationship – but exactly what is it? In simplest terms, it’s the process in which employees band together to negotiate job details such as wages and working conditions with the business that’s employing them. The idea here is that when employees join with one another, they have strength in numbers and therefore, more negotiating leverage to receive any desired employment terms. Wages: Unions work to achieve higher pay for their members. Hours: Unions work to ensure that employment hours are suitable to the liking of their members. Additionally, they work to ensure that employees receive extra pay for any overtime hours their members work. Safety: Unions negotiate with the employer to ensure that workplace conditions are safe enough for the employees to work in. They also work to ensure that proper training protocols are in place. Grievances: Unions and employers work to ensure that proper grievance protocols are in place. Should an employee believe the terms of the bargaining contract are violated – how do they address it with the employer and resolve the issue? Job Statuses: Unions and employers work to ensure that employee job statuses can’t be arbitrarily terminated without justification. Other Benefits: Paid time off, sick leave, maternity leave, health coverage, retirement benefits, and other issues may also be on the negotiating table. How does collective bargaining protect employees? An employee workforce that isn’t collectively united together may not be seen as standing on equal footing in terms of the employer-employee relationship. By combining into one, the result allows employees to better represent their goals – especially in terms of the aforementioned issues. They can protect their rights, their job statuses, and work with better peace-of-mind. How does collective bargaining protect employers? A negotiated collective bargaining agreement that is seen as beneficial to both sides has a number of benefits for the employer: The employer can rest assured that workplace morale is kept up. 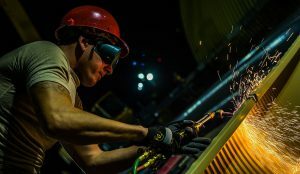 Additionally, the employer can take into consideration the concerns of their workforce – especially in regards to providing a safe work environment; when addressed, this can improve workforce standards and ensure that any onsite accidents are kept to a minimum. Need help handling the collective bargaining process with your employees’ union? Contact the experts at Strom Engineering today. To learn more about employer-union contract negotiations, read our other blog post, How to Prepare for Union Contract Negotiations. The occurrence of natural disasters is simply out of anyone’s control. While you can’t stop them from occurring altogether, you can prepare to minimize any potential fallout and work to protect business assets. This isn’t only critical for businesses, but also for the sake of those who you employ and the customers who rely on your offerings. How will you monitor the storm/natural disaster? Some natural disasters happen without warning (I.E. an earthquake), but other kinds like hurricanes provide a considerable amount of time to prepare in advance. Whatever the case, make sure you have a way to monitor the incident from the time you hear about it, then throughout the aftermath/relief efforts. Access to web resources is great, but the Internet can become inaccessible. Plan to rely on older resources like radio, which will surely broadcast important information from the National Weather Service to your area. Communication is key to successfully steering your business through a natural disaster. It’s also the key step in staying organized. Determine points of contact and who on your team is responsible for what preceding the event, throughout the event, and during the aftermath. Everyone on your team should have each other’s phone numbers. Additionally, you as a business owner should be accessible – especially in the instance of a mobile network outage. That being said, knowing each other’s physical location throughout the disaster is important and something that can be determined in advance, albeit with some flexibility. It’s absolutely critical that all data is backed up in advance, especially if you’re a data-driven business. Don’t wait to back up your data right before a natural disaster; rather, back it up to servers on a continuous basis, as this is a critical part of the business contingency planning process. Check out these data backup options, as provided by the United States Computer Emergency Readiness Team. Do you have a backup power supply? No matter what kind of business you are, it’s probably critical that you have some kind of backup power supply ready to go in the event that there’s an outage. It’ll make staying organized throughout the disaster that much easier, in addition to helping speed up the recovery process (dependent upon the type of natural disaster, outages can occur for prolonged periods of time). Do you need windstorm protection? Failure to properly board up windows in advance of a storm/hurricane can result in catastrophic damage that could otherwise, have been easily avoidable. Familiarize yourself with how you can do this successfully beforehand. Do you have a way to pay employees? 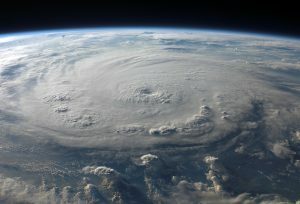 An inability to pay your employees during a natural disaster can lead to low morale and distrust among the workforce. Additionally, unusually fluctuated hours can make planning payments more difficult. We recommend familiarizing yourself with the guidelines, as set out by the U.S. Department of Labor. Can you carry out post incident business transactions? Means to process payments via credit and debit cards may be down in the immediate aftermath of a disaster. In such cases, it may be necessary that you rely on cash – especially if you’re a retail business. Also, if you owe partners for services you rely on to operate, make payment plans in advance. How will you maintain your web presence? When people have questions during periods of uncertainty, they go to the web. Have your website updated to list proper communication methods before any disasters occurs. If possible, plan to update your website & social media profiles throughout the disaster with any changes in hours/services. Your customers will be able to appreciate you more and you’ll be able to respond to their inquires on a case-by-case basis. When it comes to how to plan for natural disasters, there’s a lot to take into consideration – much of which is dependent upon the unique needs and structure of your business. However, a well thought-out contingency plan should allow you to minimize or even negate any negative effects a disaster can have on your business – ultimately, allowing you to continue on without much disruption. For more information on how to prepare your business for a natural disaster, contact Strom Engineering today. For more information on preparing your business for incidents that could disrupt your business, read our other post, Tech Considerations for Natural Disasters & Their Role in Continuity. Right to Work Legislation: What Impact Does it Have on Union-Employer Negotiations? Right to Work: When you hear the term, you might think, “Well obviously, every American has a right to work!” So what exactly does this mean? Currently, there are 26 states in the U.S. with Right to Work statutes – laws that ensure state citizens that they have a right to refuse participating in a labor union associated with their employer. That’s not to say, however, that labor unions are obsolete in these parts of the country, it only means that whether or not an employee decides to join is completely voluntary. Those favoring Right to Work argue that these statutes have an upside: Workers aren’t forced to pay hundreds of dollars in union fees for services they may not necessarily want in the first place – thus saving them money. Proponents also argue that these states can attract more businesses, businesses that may want to operate in a setting that’s not as union heavy. On the other hand, those against Right to Work argue that these statutes result in lower wages because of an inability to bargain freely. They also argue that these states’ employers are less likely to offer benefits like pensions and health insurance – since there may be less of a labor union presence fighting on the behalf of workers. The impact of right to work laws on unions and employers can affect the contract negotiating process. When unions reach contracts that require all employees to pay dues, the impact is that they’re much better funded. Because of this, they argue that they have a much stronger ability to fight for higher wages and benefits on behalf of unionized employees. However, such agreements are not allowed in Right to Work states. In a Right to Work state, for example, an employee’s thought process may be, “Why pay unions fees when I don’t have to? The union is going to fight on behalf of the entire workforce regardless.” But when employees opt out of union dues, unions are less powerful, can’t operate as effectively because of lack of funding, and in large, are less likely to reach effective contract agreements – the foremost right to work effect on unions. There are many obvious upsides and downsides when it comes to Right to Work. In essence, it’s an argument of individual choice (do I have to pay union fees?) vs. the idea that if everyone joins, unions are able to negotiate benefits more effectively. If you’re a business that operates in a state that’s Right to Work or a state that could soon become Right to Work, Strom Engineering has the ability to advise you regarding these very complex laws. Over the years, we’ve helped many companies in regards to labor union negotiations; in addition to helping them set up reliable backup plans in case contract agreements can’t be reached. View our consulting services to see how we can help. For information on how you can prepare for contract negotiations, whether you’re the employer or the union, read our post, How to Prepare for Labor Union Contract Negotiations. A contingency plan is defined as the following: A strategy that can be put into practice in the event that a problematic circumstance threatens to affect your business’s operations. This can mean anything from a storm knocking your company’s data center offline, to unexpected costs arising as you look to wrap up a major project. Any contingency plan should be closely associated with your business’s overall budget. Money may need to be set aside in a lock box, so to speak – meaning that funds are readily available only in the instance that an emergency situation arises. Think long-term. Murphy’s Law states: Anything that can go wrong will go wrong. To negate Murphy’s Law, identify the most common type of disruptions unique to your business and determine an estimation of costs that correspond with each. Prioritizing a savings amount for a contingency plan may cost you financially in the short-term, but will also provide you with peace-of-mind in the long-term. Take into consideration what you put at risk by not having a properly funded contingency plan: The inability to pay valued employees who could leave as a result, the loss of customers, your standing as a trusted provider in your respective industry, and potentially – a complete shutdown of operations that could threaten your company’s long-term viability in the market. Should something threaten to disrupt your business, you can rest assured that saving for a contingency plan will likely cost you a whole lot less compared to if you were to face an incident without having properly saved. Budgeting and financial management considerations are certainly paramount when formulating any plan. In the end, contingency planning is all about making unforeseen consequences foreseen – and properly preparing to financially cover them. This will ensure that your business keeps high morale and stays effective, even in the most trying of times. Fore more information on planning for work disruptions, read our post, What’s the Difference? Business Continuity, Disaster Recovery, & Labor Contingency Planning.